Almost nine years ago, the Food and Drug Administration (FDA) held a public meeting to discuss the oversight of laboratory developed tests (LDTs). As LDTs became more complex and integral to clinical diagnostics, the agency considered a risk-based approach for providing oversight of them. The 2010 meeting was an opportunity for laboratory professionals, industry representatives, physicians and patients to express a range of views on potential oversight. The conversation on LDT regulation continues today. Draft legislative language for the Verifying Accurate, Leading-edge IVCT Development (VALID) Act circulated late last year by Congress offers specifics on how those discussions have evolved. Instead of singling out LDTs, the VALID draft begins by defining an in vitro clinical test (IVCT) as a test “intended to be used in the collection, preparation, analysis or in vitro clinical examination of specimens taken or derived from the human body for the purpose of identifying, diagnosing, screening, measuring, detecting, predicting, prognosing, analyzing, or monitoring a disease or condition, including by making a determination of an individual’s state of health.” The definition also applies to IVCTs used to select, monitor or inform therapy or treatment for a disease or condition. IVCT applies too to test protocols, test platforms, software, and test components used for the purposes outlined above. The draft VALID Act takes a risk-based approach to IVCT regulation, allowing the FDA to focus on those tests that expose patients to the greatest degree of serious or irreversible harm as well as those that are new to the marketplace. IVCTs would need to meet a “relevant standard” where a reasonable assurance of adequate analytical and clinical validity are met. In general, the draft legislation states an IVCT may not be introduced into interstate commerce unless there is an approved application for the test, or if the test is exempted from premarket review. An application would include a description of the intended use of the test, an explanation of how the test functions and its performance characteristics, a risk assessment, and a statement attesting to the accuracy of the information provided. Applications must demonstrate compliance with quality system requirements and applicable standards. Scientific evidence to support the analytical and clinical validity of the test would also be required. An IVCT that is a first-of-its-kind in vitro diagnostic test, test system for home use, high risk, cross-references IVCT, or direct-to-consumer are generally not eligible for an exemption from premarket review. However, low-risk IVCTs may be exempt from FDA premarket review. IVCTs subject to precertification may also be exempt from premarket review. Applications for precertification would be focused on a single technology (e.g., test method). Yet, FDA could require any test to undergo premarket review after certain issues are identified. When approving or denying premarket applications, the draft legislation states that the “least burdensome appropriate means necessary to demonstrate that an IVCT has met the relevant standard and other regulatory requirements” would be considered. The draft legislation does not modify the authority of the Secretary of the Department of Health and Human Services (HHS) with respect to laboratories under the Clinical Laboratory Improvement Amendments of 1988 (CLIA). This means, unless necessary to protect public health, regulations that duplicate CLIA will not be issued or enforced under this draft legislation. As such, quality system requirements under the draft would apply to the design/development/validation/manufacture of an IVCT, not to laboratory operations. The HHS Secretary may establish performance standards for IVCTs and may reference already-established national or international consensus standards. U.S. Representatives Larry Bucshon (R-IN) and Diana DeGette (D-CO) along with Senator Michael Bennet (D-CO) and then-Senator Orrin Hatch (R-UT) released 200-pages of the draft legislation in December 2018. Sponsors of the draft legislation may change now that Senator Hatch has retired. Further deliberations on the discussion draft are likely and sponsors may introduce formally the legislation in the 116th Congress. Click here to read the VALID Act discussion draft. Robin E. Stombler is President of Auburn Health Strategies, LLC, a strategic and business development company serving health and science clients nationwide. Prior to founding Auburn Health Strategies in 2003, Stombler served as the Vice President of Government Affairs for the 140,000 members of the American Society for Clinical Pathology, and directed its Washington Office for over nine years. She previously served as a Senior Washington Associate for the American College of Surgeons. Stombler has published peer-reviewed and trade journal articles on a variety of health, science and business topics. Among her publications, she wrote Culture Collections Serve Invaluable Functions, A Food Safety Test We Have Yet to Pass, and co-authored Laboratory Preparedness for Bioterrorism: From Phlebotomist to Pathologist; Institute for Quality in Laboratory Medicine: Recognizing Excellence in Practice: Highlights from First Landmark Summit –An Opportunity to Enhance Medical Care. A veteran of Capitol Hill and state government, she has lectured for the Washington Representatives Program at The George Washington University. Jefferson Medical College’s Department of Health Policy appointed Stombler a Senior Scholar for 2006-2007. A member of the Board of Discipline Editors of the Journal of the Washington Academy of Sciences, Stombler has served on the Board of Directors of Women’s Health Virginia. 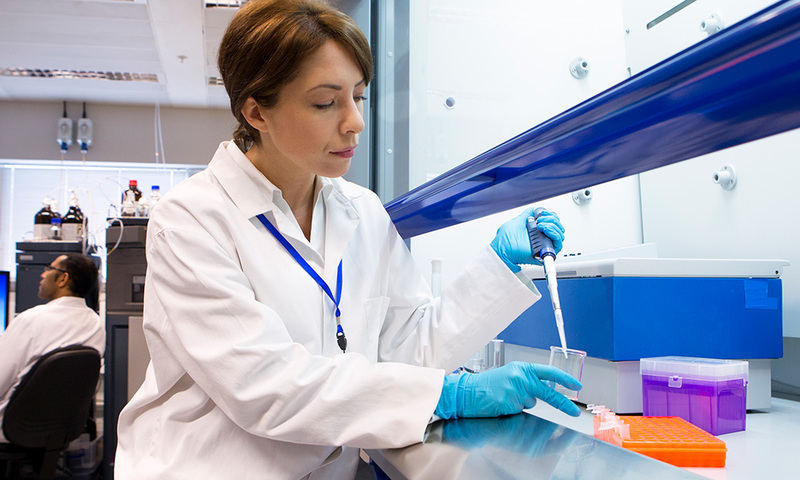 Read Next – Research Use Only or IVD: What’s Right for Your Lab?